TOOB™ opens a new chapter in the history of guitar and bass speaker cabinets. It combines feather weight, compact size and striking design without compromising the sound. TOOB™ is a go-anywhere tool for professionals and enthusiasts alike. TOOB™ has been developed with the modern micro-amplifiers in mind. Each unit features two input/output jacks. Lightness and modularity offer new degrees of freedom in positioning the units. TOOB™ 12J has an open back and suits all kinds of music, with particular praise from jazz guitarists. 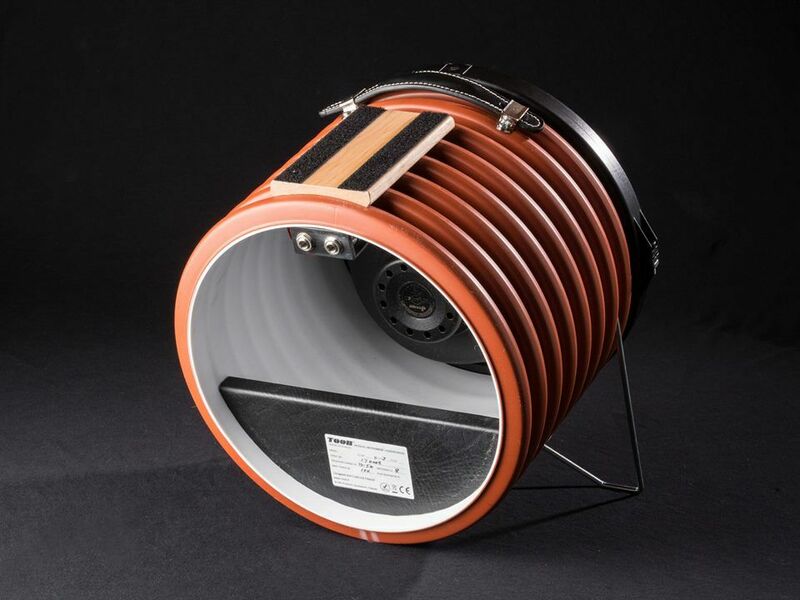 TOOB™ 12R features a back wall and reflex tube for a deeper bass end, addressing the needs of rock players. 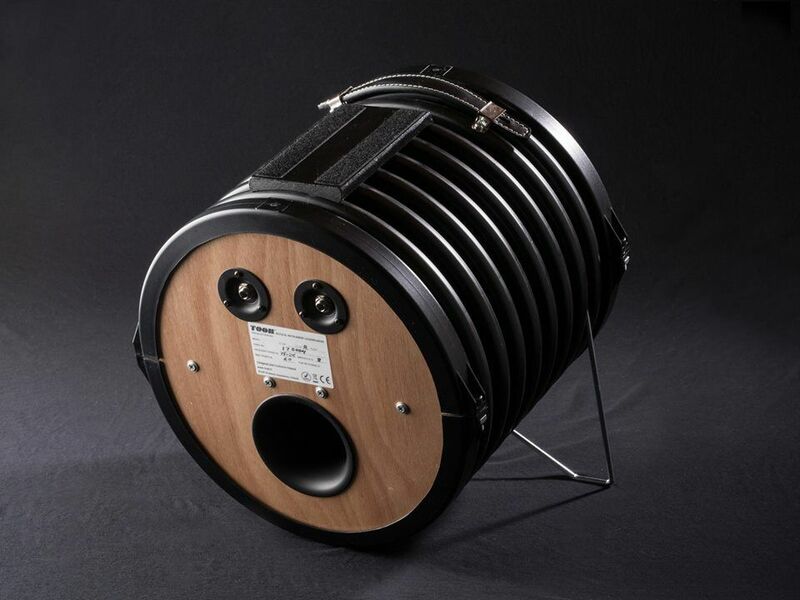 TOOBTM 12B is an open-back bass speaker for all kinds of basses. It has novel tone- enhancing features. 4 kg opened back jazz guitar speaker cabinet filled with Jensen Jet Tornado 12", cinnamon color, with detachable MagLegs. Closed back guitar sound tube for rock music, filled with Jensen Jet Tornado 12"